Internationa Dos Shows in Pärnu, Estonia! Our handsome boy Griffon Belge WHOOP DE WOO DON PICCOLO “Piccolo” got both 2 JCAC and was 2x BOBJ and his sister petit brabancone WHOOP DE WOO D’AMICO Paola “Paula” got 2 JCAC and was 2x BOBJ. Our dear Griffon Belge WHOOP DE WOO COBBY COLONEL “Mustikas” won 2 CACIB and was BOB both days. Judges Svetlana Kokonena from Latvia and Linda Jürgens from Estonia. 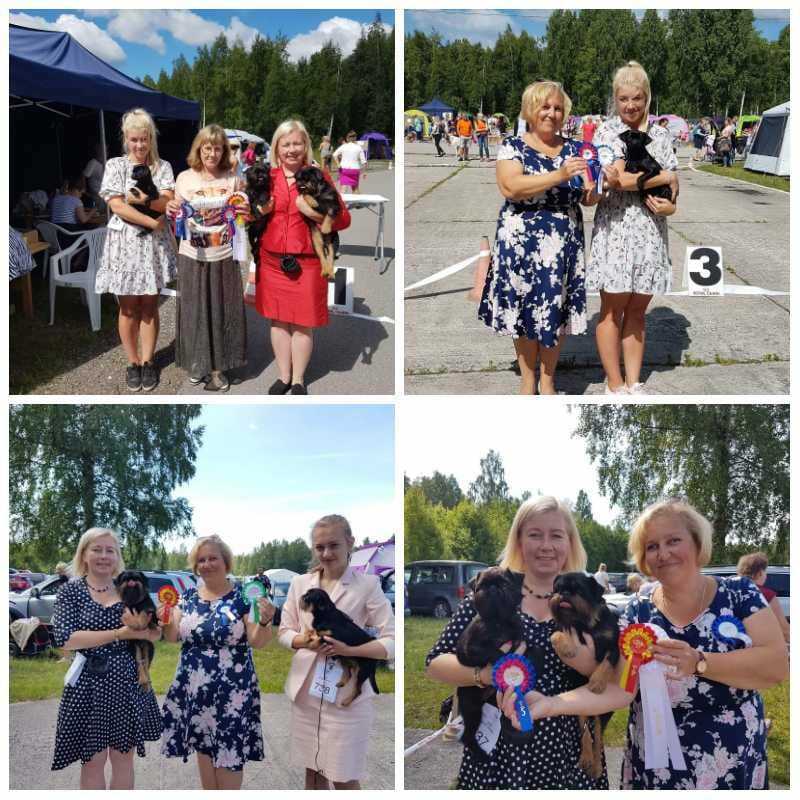 Nationa Dog Show Imavere, Estonia!